compatible with any GC Cooling fan. Standard electronic fans generally run in either an “on” or “off” function. GC Cooling’s Smart Fan Module will automatically turn on at a 150 degrees Fahrenheit at 50 percent speed increasing to 100 percent at 200 degrees Fahrenheit. This reduces both fan noise and current draw. It additionally starts the cooling process sooner to keep engine bay temperatures lower. 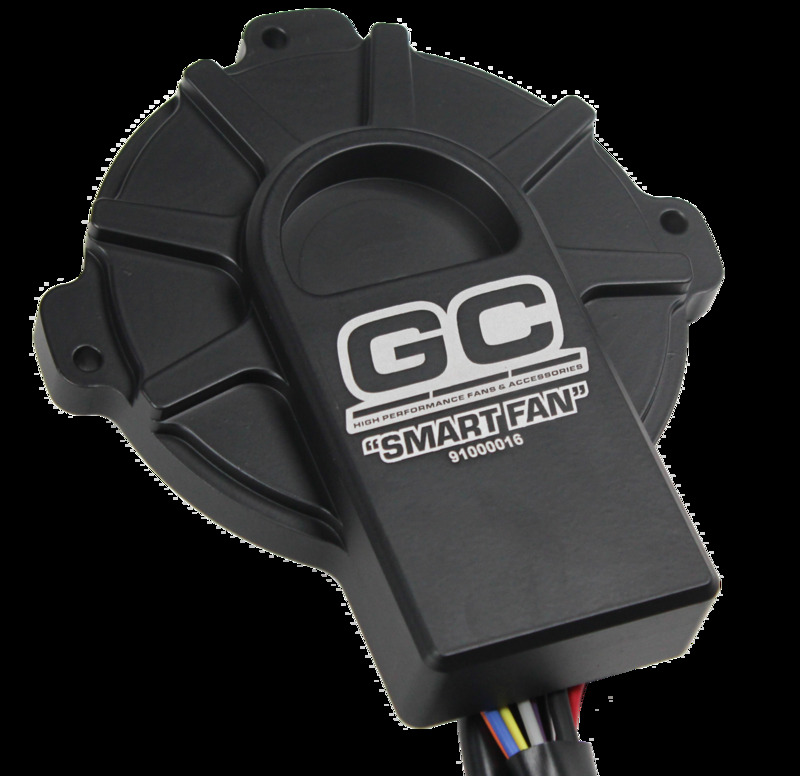 GC Cooling’s Smart Fan Module is easy to install with no programming required. All you do is replace the fan’s motor cover with the Smart Fan Module. The Module has additional inputs and outputs for a mechanical override switch, air conditioning input, output to control additional fans. Please double check distance between fan and closest obstacle, the smart fan module will add .4" to the HP series fan depth and .8" to the MP and LP series fan depths. This module is designed to work only with GC Cooling products and has not been tested on other manufacturers fans.